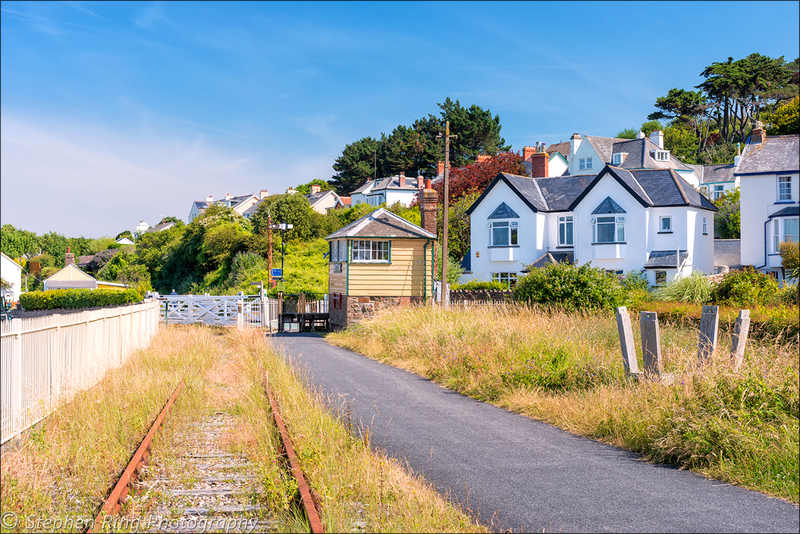 Whether you walk or cycle on the Tarka Trail it is a wonderful amalgamation of lush green woodland, countryside and coastal views and offers so much to unearth and to discover. Unfamiliar terrain that cannot be reached by car and which is unblemished by the touch of man and is a truly wonderful haven of peace and serenity. So with the warmer weather suddenly upon us and a new improved enthusiasm for exercise and discovery I decided to embark on a gentle bike ride on the Tarka Trail departing from Instow. Instow is an exquisite village situated on the banks of the River Torridge with golden sands and uninterrupted views all around and is a sanctuary for dog walkers and families to take in the exhilaration of the North Devon Coast. It still retains memories of times gone by, with the original railway platform still in existence and the classic signal box standing proudly, overlooking what is now the yacht club. Across the estuary you can see the delightful fishing village of Appledore with its characteristic cottages and distinct quayside. Whilst further along you can see the wonderful Dune structure of Crow Point. Leaving Instow I ambled peacefully past Appledore Shipbuilders on my right and the historic Tapeley Park and the village of Westleigh. A route which offers so much to appreciate and observe. Following the path I travelled under the imposing structure of the Torridge Bridge which is quite vast and traverses the river offering a gateway to travellers in and out of North Devon. Cycling parallel with the River Torridge the Tarka Trail offers a wonderful vista of Bideford and delightful views towards the ancient bridge with its distinguishable arches, the quay and the town itself. Then you arrive at Bideford Railway Station where you can survey the town from a different perspective. My renewed enthusiasm and delight at being out on such a glorious day had me venturing forth towards Torrington. Meandering gently along ,with the warm sunlight, cascading its beams of light through the tree tops and the river majestically, flowing along the reed banks and saltmarshes. I cycled across the Iron Bridge and on through the Land Cross Tunnel towards Weare Gifford a journey fringed with an abundance of green banks, interspersed with pink, fox gloves and wild flowers and noticeably, uncomplicated and hassle free. Moving on to Beam Weir I was gifted with the presence of a Heron waiting, patiently for his lunch to swim by and the hum of the tractor in the adjacent field ,busily making hay bales. It was hard to believe that I was following the track of what once was the Atlantic Coast Express Line ,that ran all the way to Waterloo in London and now it is a tranquil pathway ,for walkers and cyclists. Cycling beyond Torrington I decided to venture a few miles on and in the distance I observed a sea of pink . Eager to inspect further I cycled closer and there nestled on the hillside was a resplendent meadow of foxgloves ,which was truly impressive. Discovering such hidden splendour finished the day perfectly. Having spent several hours on my bike I turned around and cruised gently home, feeling totally overwhelmed by the beauty around me. 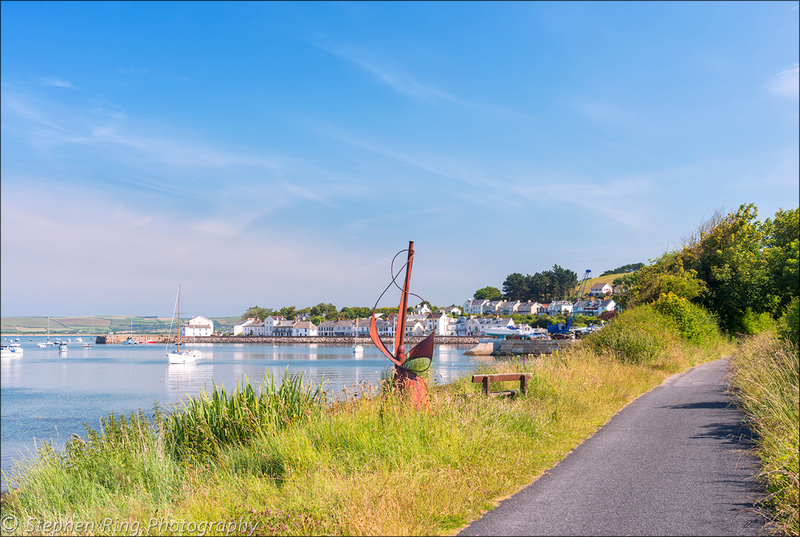 I felt truly inspired by the wonderment of the surroundings and the enjoyment of just cycling the pathway, taking photographs en-route and stopping to peruse the breathtaking sights that the Tarka Trails offers.